We may periodically send promotional emails about new products special offers or other information that we think you may find interesting using the email address that you have provided. Plymouth Sales & Lettings are committed to ensuring that your information is secure. In order to prevent unauthorized access or disclosure, we have put in place suitable physical, electronic and managerial procedures to safeguard and secure the information we collect online. Plymouth Sales & Lettings website may contain links to other websites of interest. However, once you have used these links to leave our site, you should note that we do not have any control over that other website. Therefore, we cannot be responsible for the protection and privacy of any information that you provide whilst visiting such sites and this privacy statement does not govern such sites. You should exercise caution and look at the privacy statement applicable to the website in question. You may request details of personal information that we hold about you under the Data Protection Act 1998. A small fee will be payable. If you would like a copy of the information held on you please write to us at the address found on our contact us page. There is an option on your browser to reject cookies and doing so will not stop your use of the Plymouth Sales & Lettings website, you may however find that certain options within our website may not work correctly should you choose to do so. The only information Acorn Building Solutions collects and stores about you, the visitor, is non-personally identifiable information such as the location of Visitor's Internet service provider, Internet protocol address, the browser and type of machine the visitor is using, the Website that referred you to the Plymouth Sales & Lettings Website, the pages you request, and the date and time of those requests. This information is compiled and cannot be attributed to your individual computer. The content with the Plymouth Sales & Lettings website is strictly protected by copyrighting laws. The website is the property of Plymouth Sales & Lettings and any copying, retrieval and use of any of the information within our site is strictly prohibited unless you have given written permission from us to use it. 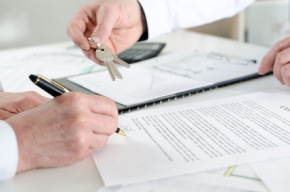 Through written customer consent Plymouth Sales & Lettings may contact you in the future to notify you of any promotions or to contact you regarding your original enquiry. A user may request the suspension of said emails at any time by sending us the request in writing either by post or email Plymouth Sales & Lettings will correctly dispose of your personal data we have on file and stop all contact with the user within 72hrs of receipt of this written request. All information transmitted to Plymouth Sales & Lettings Website is secure to the extent possible using existing technology. We will store the information that you share with us securely and will take appropriate steps to protect it from unauthorized access or disclosure. We will limit access to this information to those Plymouth Sales & Lettings personnel with a need to know. Any customer information stored with Plymouth Sales & Lettings will be held in log on the World Wide Web, the majority of our correspondence is done by email and unfortunately this form of communication is not 100% secure of interception by third parties. Plymouth Sales & Lettings therefore cannot be held responsible for any interception and damages that may occur from this. Should you wish to contact Plymouth Sales & Lettings in a strictly confidential matter then we advise contact via recorded postal mail. Plymouth Sales & Lettings aim to ensure all the data and information we hold about our customers is up to date and accurate. Unfortunately due to human error this information can be stored incorrectly. The customer is welcome to amend any information we hold about them in writing and Plymouth Sales & Lettings will aim to correct this information within 72hrs of receiving said notification. Plymouth Sales & Lettings does not intentionally hold information about any individual below 16 years of age. Should a person under 16 receive any communication from Plymouth Sales & Lettings of have contacted us by error then their personal information can be removed from our system log on receipt of written confirmation. We will aim to delete this information within 72hrs of receipt of this written instruction. Plymouth Sales & Lettings try to ensure all its website information is correct at all times, we do however hold NO RESPONSIBILITY for any inaccuracies on the site and are therefore NOT LIABLE for any damages that may occur from inaccurate information. This includes any direct or indirect damages and the consequences of these. Plymouth Sales & Lettings therefore CANNOT be directly held liable for the actions of its website or any links from this website. Plymouth Sales & Lettings provide links to third party sites that may convenient customers Plymouth Sales & Lettings is accessible from third party sites. We DO NOT however hold any power or responsibility over any third party sight, the collection and use of your data and any damages that may occur from any inaccuracies within these third party website and the consequences of these damages. Plymouth Sales & Lettings DOES NOT hold responsibility for the quality, safety and products provided by the linked websites and cannot be liable for any damages from any products or services these websites provide. Any access to our website from a third party DOES NOT mean Plymouth Sales & Lettings have authorized this link or have any business connections to the third party business. Thank you for visiting Plymouth Sales & Lettings and should you have any queries please feel free to contact us via our contact us page.